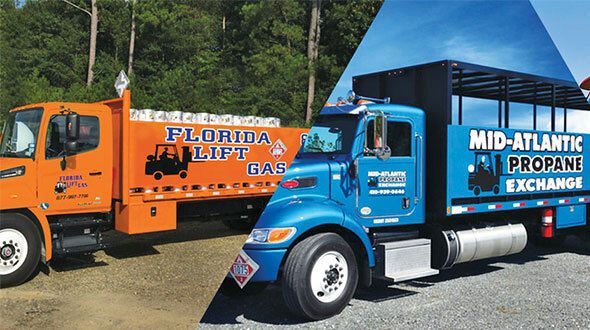 The most complete testing to date offers uplifting evidence that propane’s benefits to the material handling industry – in engine performance, durability and emissions quality – will protect the 85 percent market share that propane owns among class 4, 5 and 6 forklifts that burn 600 million gallons of year-round load. A recently completed $2 million forklift testing program by engineers and scientists at the Southwest Research Institute in San Antonio shows that propane will meet or beat state and federal emissions criteria through 2007 and, most likely, beyond. The testing of five different engine control systems and three brands of exhaust catalysts indicate propane forklift engines should be able to meet future EPA emissions requirements using existing technologies. Four existing fuel control systems demonstrated emissions well below the tougher 2007 limits. The systems were tested under both steady-state and transient-cycle conditions. There also was little deterioration in emissions after 1,000 hours of durability testing with various fuel blends. Assuming deterioration rates remain constant, emissions at the 5,000-hour useful life requirement would remain within 2007 limits, the tests showed. 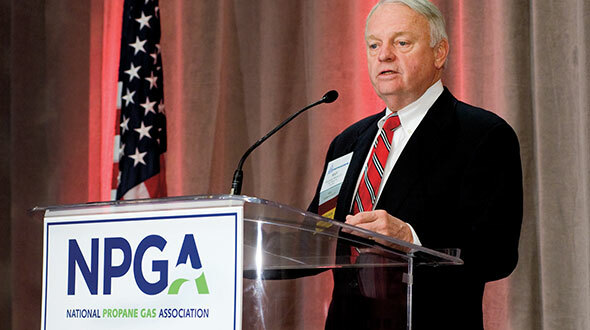 “In the grand scheme of things, it means that propane will continue to be the fuel of choice for internal combustion forklifts,” says Greg Kerr, director of research and development for the Propane Education & Research Council (PERC). Propane retailers are firmly positioned to promote their forklift services as hard working, reliable and environmentally friendly. “There are some [propane] companies out there that are really aggressive with forklifts; this work will complement what these marketers are doing,” says Kerr. 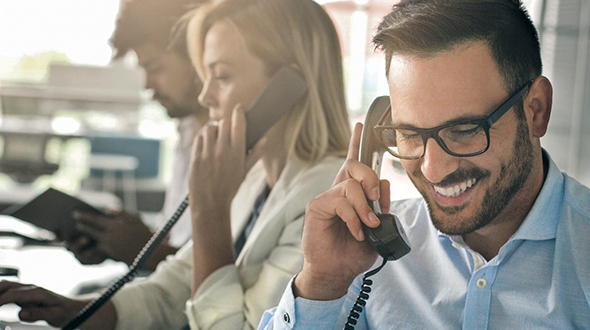 “It’s not carving out any new markets for us, but it’s protecting the existing ones and presenting a healthy growth curve,” says consultant Bob Myers, who serves on PERC’s Research & Development and Engine Fuels Advisory Committees. Kerr agrees. “Because we meet them with ease, propane will continue to be the dominant fuel for forklifts,” he says. PERC invested almost $1.4 million in the study. The Industrial Truck Association (ITA), representing forklift manufacturers, ponied up the balance. According to the ITA, internal combustion engine forklift sales in 2005 rose to 83,725 units from the 74,228 machines sold in 2004, representing a growth rate approaching 15 percent for propane-powered models. It marks the third consecutive year that propane forklifts have seen double-digit growth. From 2003 to 2004, propane sales in this category amounted to a whopping 29 percent. Propane forklifts account for 4 percent of domestic propane consumption – tied for fourth place with cylinder exchange behind residential, commercial and agricultural sales. The industry serves about 456,000 forklift accounts. Further extension of the forklift segment’s reach is largely dependent on how well the entire American marketplace performs, according to Myers. The clean performance cited by Southwest has made marketers, dealers and manufacturers more comfortable that the propane forklift can meet these future needs, according to Riley, who’s also the technical service and emissions specialist for Suburban Propane, which sells about 40 million gallons a year for forklift use. The more forklifts in the field, the more tanks being sold and filled to keep the machines up and lifting, Kerr notes. The timely project has garnered enthusiastic support among propane retailers and related equipment suppliers. The California Air Resources Board (CARB) in 2003 floated a proposal mandating that all forklifts purchased after 2004 run exclusively on electricity as a means to improve indoor air quality. The measure also would have also applied to rental companies, which would have required them to convert their forklift fleets to electric by 2010. Alarmed propane industry leaders feared this rule, if passed, would effectively ban propane forklift sales statewide – potentially setting precedent with national ramifications. That was the driving force that mobilized the industry to show CARB that propane could meet the specified emissions, according to Myers. The recent testing at Southwest verifies that propane can meet standards being promulgated by both CARB and the U.S. Environmental Protection Agency. With propane’s share of the forklift market, electric and diesel lift trucks are not considered major threats. Only a small percentage of forklifts are diesels, and those tend to be behemoths used for hauling timber and the like, according to Myers. Also, diesel has considerable pollution issues yet to be resolved. The electrics are largely relegated to niche applications. “The people who use electric forklifts are absolutely concerned with maintaining a strict clean environment in their buildings” and therefore unlikely to switch to propane, says Myers. Based on propane’s emissions compliance, mainstream forklift customers will be even more inclined to stick with propane’s proven performance. “Propane forklifts work harder and produce better results than electric forklifts,” says Riley. National research indicates that LPG forklifts consistently demonstrate the ability to lift, push and pull heavy loads at full capacity, up and down inclines, for a longer time and with improved ground speed when compared with electric units in both indoor and outdoor applications. Compressed natural gas-powered trucks take six hours to refill after as little as two hours of operation, and electric forklifts can take up to eight hours to recharge. A propane cylinder can be changed in five minutes. “It’s going to maintain the positive outlook that propane can maintain being the dominant fuel,” Myers says. According to Kerr, there was some anxiety over the looming government emissions standards being formulated and what propane’s forklift future would hold. Sulfur’s role in the combustion process was a particular concern. That point was resolved through Southwest ‘s work. PERC has prepared an executive summary encapsulating the results of forklift testing by the Southwest Research Institute. The project produced a number of useful conclusions. 1. LPG forklift engines should be able to meet the 2007 EPA standards using existing technologies. Four existing fuel control systems demonstrated emissions well below the 2007 limits at zero hours under both steady state and transient cycle conditions. There was little deterioration in emissions after 1000 hours of durability testing with various fuel blends. Assuming deterioration rates remained constant, emissions at the 5000-hour useful life requirement would remain within 2007 limits. 2. Occasional exposure to high sulfur fuel will not cause long-term degradation of emissions performance. Fuel with 160-ppm sulfur caused deterioration in catalyst performance, but the effects were reversible when normal sulfur levels were reintroduced. 3. Propylene in excess of “HD-10” limits does not cause increased emissions in forklift engines with closed-loop engine controls and three-way catalysts. Propylene concentrations up to 30 percent had no measurable impact on emissions during these tests. Propylene, being reactive, is readily converted by catalysts. 4. Fuel system deposits were composed of heavy ends above carbon number 20 (C20). Heavy end components less than C20 were carried along with the vaporized fuel and burned in the engine. Heavy end composition varies substantially between fuels. Most deposits were composed primarily of heavy hydrocarbons, such as oils. In deposit samples that had two liquid layers, the bottom layer contained polyalkylene glycols, which are found non-hydrocarbon-soluble lubricants that are used in gas compressors, especially screw compressors. Phthalates, which are plasticizers that can be extracted from hoses and seals, comprised between 1 and 10 percent of fuel residues. 5. The current residue limit of 0.05 mL per 100 mL of vaporized LPG is not an accurate predictor of deposit forming potential. The composition of the heavy ends is far more important than the quantity of heavy ends. 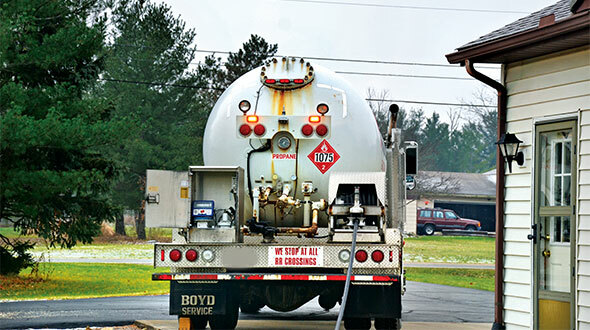 Fuels with residue in excess of 0.05 may not form deposits if the heavy ends are less than C20. Conversely, fuels with residue far below 0.05 can form thick deposits if the heavy ends are above C20. 6. Heavy ends have negligible impact on emissions in the absence of deposits. The synthetic heavy-end blend used in the fuels manufactured by Southwest Research Institute from pure components did not cause measurable emissions deterioration at concentrations up to 0.02 mL of residue per 100 mL of fuel. Emissions were also well within the 2007 standards with real-world fuels. Deposits extensive enough to prevent stoichiometric air-fuel ratio control will cause emissions to increase significantly. However, these increases are reversible by cleaning the deposits from the fuel system. Control systems can detect this condition by monitoring the exhaust oxygen sensor for abnormal switching, and notify the operator by means of a check engine light. Systems with drive-by-wire throttle control can further encourage repair by limiting engine power, which will also minimize the risk of catalyst over-temperature damage. 7. Additives may reduce or increase deposits, depending on the additive formulation and the engine component in question. The top end lubricant included in Additive A substantially increased deposits in the vaporizer and downstream fuel system components. Additive B helped keep the vaporizer and mixer clean, but slightly increased deposits on the intake manifold, intake ports and intake valves by carrying heavy ends further downstream. 8. Operating conditions have a significant impact on deposit accumulation. High engine loads and operating temperatures promoted rapid buildup of deposits in the vaporizer and downstream components. One theory is that rapid vaporization causes heavy ends to drop out of suspension more readily, leading to increased deposits. 9. Proper fuel system component placement is important to prevent deposit build-up. To minimize deposit retention, the vaporizer should be mounted above the mixer with its vapor outlet at the bottom. The addition of a reservoir at the outlet of the vaporizer will help prevent deposits from being carried further downstream. The reservoir can then be drained at normal oil change intervals. 1. A study to determine the sources of heavy ends greater than C20. The results of this project show that fuel system deposits consisted almost entirely of compounds over C20 (light oils and heavier). If these compounds were not present from LPG, deposits would be virtually eliminated. By identifying the source(s) of heavy ends over C20, it may be possible to find cost-effective control measures to prevent their introduction. 2. Basic research into deposit formation mechanisms. Various factors, such as vaporizer temperature, are known to affect deposit formation, but the reasons are unclear. Laboratory testing of deposit formation rates in a flow visualization rig under controlled conditions of temperature, pressure, and flow would greatly improve knowledge about why deposits form. By understanding what affects deposit formation, improved vaporizer designs and additives may be designed. 3. An evaluation of heavy end mitigation methods. Using the basic research and test rig developed from the work in recommendation No. 2, cooperative research could be performed with additive manufacturers to develop new formulations, and their effectiveness could then be tested in the visualization test rig or on engines. The test rig could also be used to appraise the efficacy of filters designed to remove heavy ends. 4. An evaluation of deposit control additives for liquid injection systems. Although not tested during this project, liquid injection systems offer the potential for exceptional air/fuel ratio control. However, liquid injectors are especially susceptible to deposit formation. Similar problems were experienced when pulsed injectors were introduced to gasoline engines, but new additives were developed that prevented deposits. The same type of additives might also be effective in preventing deposits in liquid LPG injectors. In the proposed study, an LPG injector would be setup in a test rig and LPG would be injected until deposits formed. The deposits would then be chemically analyzed and the information used to select possible additives. The selected additives would then be evaluated in the test rig to see if they prevent deposits. 5. A study of intake port and intake valve deposit with additized LPG. As seen in this study, intake port and valve deposits can increase when additives are used in LPG. If the deposits become heavy, they can block airflow and cause a power loss. If additives are specified for LPG motor fuel, accelerated engine durability testing or fleet studies should be performed to screen for potential problems with intake port and intake valve deposits. 6. Development of an improved analytical method to predict the deposit-forming potential of LPG motor fuels. Chemical analysis of deposits during this project revealed that they are composed almost entirely of compounds over C20. However the current LPG residue specification and test procedure is based on residue over C4. An enhanced test method that focuses on residue over C20 would be more accurate in predicting deposit formation potential. As an enhancement to ASTM D2158-05, “Standard Test Method for Residues in Liquefied Petroleum (LP) Gases,” the residue temperature could be increased from the current specification of 38°C to a higher temperature corresponding to C20. Alternatively, simulated distillation (ASTM D6352) could be performed on the residue to determine the amount of C20+ material. Finally, by correlating the residue rating from the enhanced procedure with engine deposit testing, an appropriate residue limit for the enhanced procedure can be selected.